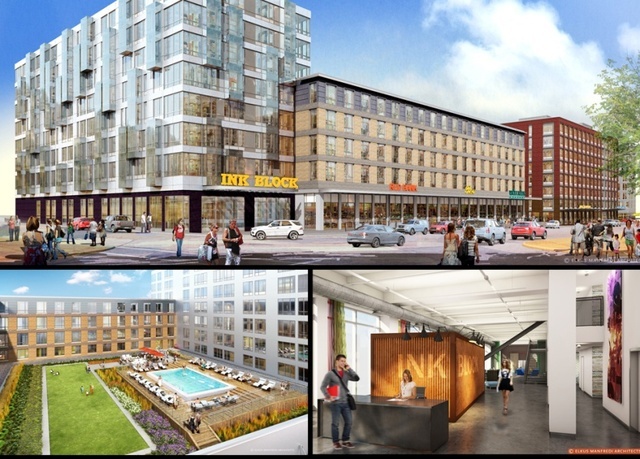 Opening in the fall of 2015, the Sepia Condos are situated at the site of the old Boston Herald Headquarters. These ultra-modern luxury condos make up the newest buildings in Boston’s South End. From studios to three-bedroom penthouses, each unit will have high-end appliances and features as well as in-unit washers and dryers. Additional Amenities: Club room lounge, bike storage, car detailing center, dog washing station, electric car charging station, onsite Zipcar. High-end finishes in each unit, well-designed floor plans, 24-hour concierge, private entrance to shops and Whole Foods market.